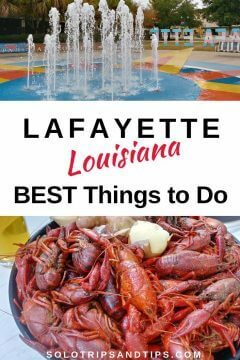 Home » North America » USA » Awesome Things to Do in Lafayette Louisiana the BIG List of Stuff to Do! I guess Lafayette is my happy place. Interestingly, it was named as the Happiest City in America back in 2014. How do you even measure that? I don’t know, but I can tell you that people in Lafayette are darn happy and friendly folks. Aside from the happy friendly people, fantastic food, and awesome music, Lafayette is the heart of Cajun Country so there is much to explore around Lafayette. There’s the history of the Acadians from the areas now known as Nova Scotia and New Brunswick to South Louisiana. 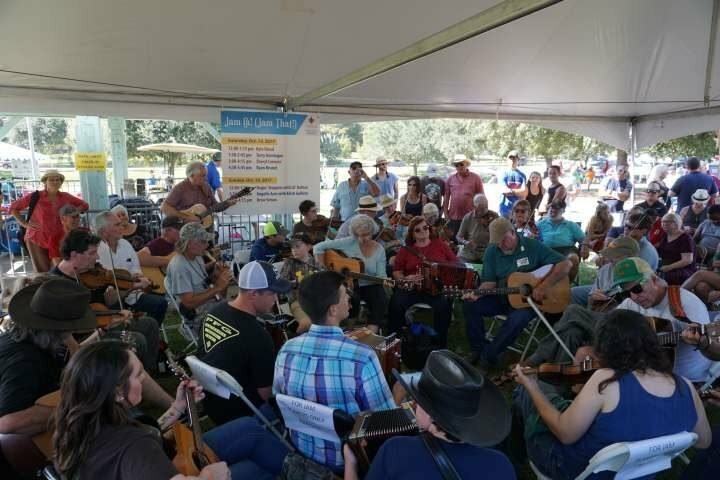 They brought their traditional recipes, music, and folklore and that’s a big part of what makes the region of Louisiana known as Acadiana such an interesting (and FUN!) place to visit. You know the French like to have a party, right? 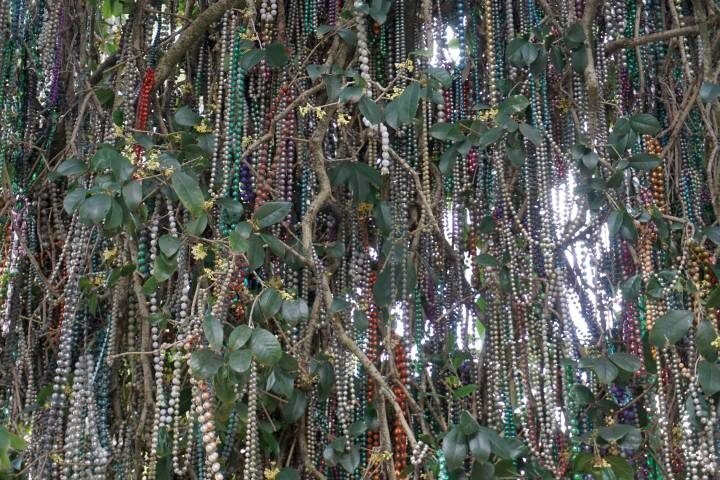 Well the Cajun French kept that tradition going and that’s why you’ll hear the phrase Laissez les bon temps rouler! (Let the good times roll) when you’re in Cajun Country. Does everyone speak French in Lafayette LA? No, not everyone, just the cool people haha! If you are traveling to Louisiana from France or Quebec Canada you will find lots of people speak French. It’s not Parisian French and it’s not Quebecois French, it’s Cajun French! French speakers will feel welcome in Acadiana. Lafayette is in the middle of South Louisiana (SOLA). Does that help? Louisiana is shaped like a boot and Lafayette is kinda where the arch of the boot is located. Not helping? Google Maps to the rescue. Amtrak offers service 3 times a week from New Orleans to Lafayette – check the schedule here. Greyhound bus line provides service to Lafayette LA – check the schedule and prices here. Both the Amtrak and Greyhound station are located at 100 Lee Ave in downtown Lafayette. How Many Days in Lafayette? And speaking of cars, you can get by in Lafayette without a car if you want to use Uber rideshare to get around. I met a couple that didn’t bother renting a car – instead walking or using Uber everywhere in Lafayette. What’s the Weather Like in Lafayette? Wondering what to do in Lafayette? Besides stuffing your face with Cajun and Creole food you can explore the Acadian culture in a lot of other ways. Check out the best activities and cool things to do in Lafayette. From dining and dancing to looking for alligators or learning a thing or two about Cajun and Creole history in Acadiana. There’s a ton of stuff to do in Lafayette. ART – MUSIC – DANCING! There is always something going on in Lafayette, you just have to decide what you’re in the mood to do. And it’s not all Cajun music all the time. But Cajun and Zydeco music is the main draw and a lot of people take a trip to Lafayette for just that reason. I enjoyed music styles from jazz and swing to hip hop and heavy metal while I was in Lafayette, and of course Cajun and Zydeco. 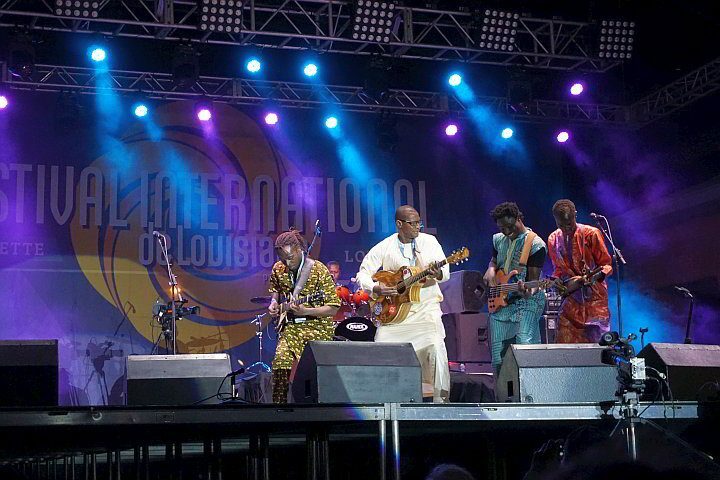 There is an incredible music scene in Acadiana, from performances to recording studios. March/April and October/November downtown concert series. Local restaurants sell boxed lunches to benefit Lafayette Science Museum, host of the event. Check the spring 2019 lineup here. The event runs from 11:15 to 1:00 pm and is free to attend. Spring/Fall – Outdoor concert series every Friday. Family friendly fun for FREE on Fridays! There are food trucks (plus beer + wine + cocktails) at the event. Bring a chair or dance away the evening. The event goes until around 9 pm, then there’s usually a designated after party bar location downtown. You can check out the March – May 2019 schedule here. Celebrating culture through music, food and art – my kind of people. And it’s a FREE festival! Living in Austin I always dreamed of going to Festival International but never managed to get that trip planned. Finally I got to attend in 2018. What a blast! This is one of the most fun events in Lafayette. The musical talent is outstanding. I caught acts like Samantha Fish, Sidi Toure, The War and Treaty, and Socks in the Frying Pan to name a few. There were musicians from 21 countries. Check out the 2019 lineup here. If you have the opportunity to go to this event – Just DO it! Another free music festival in Lafayette! 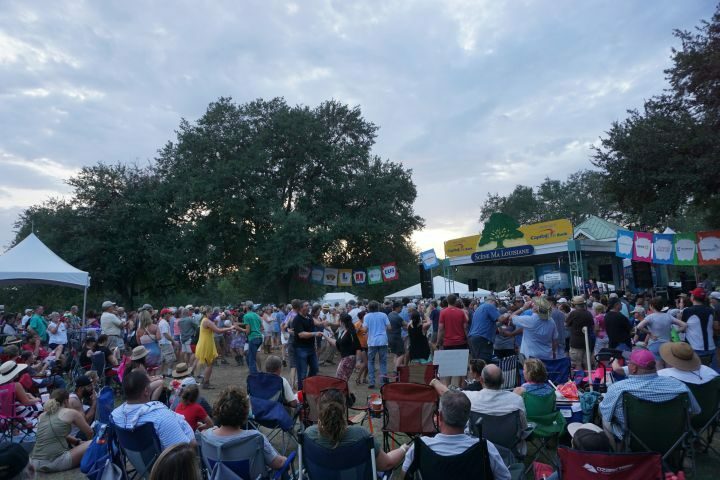 Festival Acadiens et Creoles is a celebration of Cajun and Creole culture through music and art and food. This event is smaller scale than Festival International and I loved attending in 2018. The 2019 music lineup is not not up yet but bookmark this page and check back later. Looking for fun things to do with the kids? On the third floor of Lafayette’s main library downtown you will find the fabulous Makerspaces and Tech Labs. While visiting the library one night I wandered into the Makerspaces room and one of the library staff gave me an informal tour. If you are doing the family travel thing and want somewhere to let your kids explore and create this is the place! It’s a cool rainy day activity. 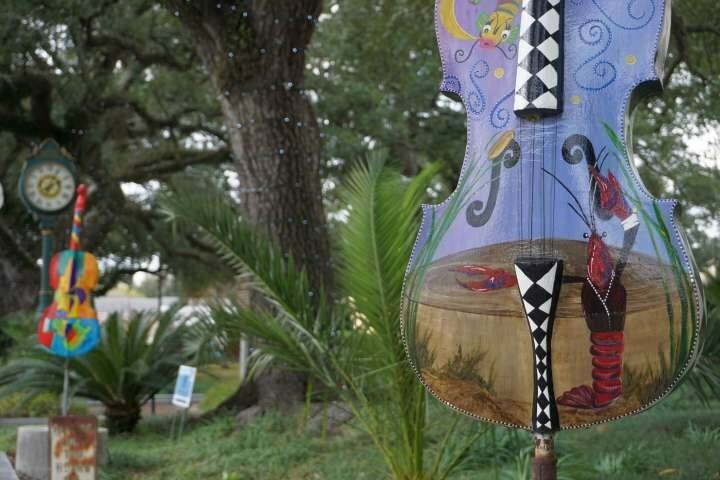 Lafayette hosts the second largest Mardi Gras in Louisiana and it’s a family friendly event. And it’s FREE! Get info on Lafayette Mardi Gras parades here. Music and dance during Spring/Fall on Wednesdays (Mercredi is French for Wednesday) at Pelican Park in Carencro – 7 miles north of Lafayette. Enjoy the music and dancing at this free event. This is one of the most Instagrammable spots in Lafayette. 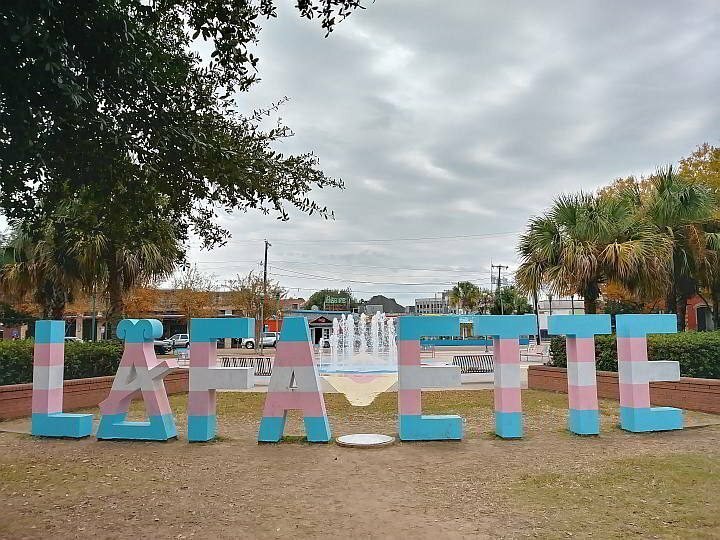 You must visit Parc Sans Souci and get your picture taken at the big LAFA ETTE sign – you stand in for the Y in Lafayette. Remind me to get MY picture taken next time! And there’s a splash fountain for the kids to have some fun. ACA is an art gallery and performance venue downtown. If you get a chance to attend a concert or any performing arts event at ACA you should jump at that opportunity! Not a bad seat in the house but they do regularly change up the seating depending on the type of event. When I attended Steve Riley and the Mamou Playboys for their Christmas concert it was all assigned seating. Then I lucked out and got a ticket to Jason Isbell and the 400 Unit concert and all the lower level seats were removed to make it one big happy standing room only setup. Other events feature table seating throughout. Events regularly sellout so check the calendar and get tickets here for music, dance, and theatrical happenings at ACA. Now, the art gallery is cool as well because first of all it’s FREE to attend. They also stay open late for Art Walk each month, more on that below. ACA Gallery showcases Louisiana talent and the gallery is not one of those monstrous size places that you can never see everything. Go and see the art at ACA Gallery for 30 minutes to an hour. Art Walk is the perfect event to get to know your way around the downtown shops and galleries, meet some locals, buy local artwork, plus check out some of the local cuisine and libations. Paul and Lulu Hilliard University Art Museum is the official name of the gallery. Admission prices and exhibit info here. I love this gallery! There’s plenty more, but here’s a few to get you started dancing in Lafayette. Blue Moon Saloon – Cajun jam every Wednesday starting at 9 pm. They also have a guest house so you can drink and dance and sleep all at the same location – party on! Buck & Johnny’s – Zydeco Breakfast every Saturday in Breaux Bridge from 8 – 11 am break the fast and dance to the Zydeco beat. If that’s too early in the day for moving your feet so much then check out Buck & Johnny’s on Thursday night with Yvette Landry and Richard Comeaux or Friday night with Doyle Tauzin. Both of these weekly events run from 7 to 10:00 pm. Rock’N’Bowl Lafayette – Live music + bowling = FUN! You’re looking for something fun to do at night in Lafayette and can’t decide to go bowling or go out dancing – do both! Lafayette’s Rock”N’Bowl is open Wednesday to Sunday. Vermilionville – Cajun jam every Saturday from 1 pm to 3 pm and Bal du Dimanche most Sundays from 1 pm to 4 pm. $10 fee to get into Vermilionville. The Blue Roof Swing – Informal monthly Sunday jam session – check their Facebook page for dates. BYOB – food is usually from Antoni’s. Suggested donation of $5. Hosted by the talented musicians Brian Rogers and Eric McGoffin of The Cedar Crest Ramblers. And every once in a while Wilson Savoy of The Pine Leaf Boys pops in to sing a tune and play piano. Magnolia Shed Series – Another monthly Sunday session, this one features food from 6 – 8 pm and a mix of poetry, music, visual arts, and comedy from 8 – 10 pm. BYOB and minimum donation $3 at the door. Check the Facebook page for dates and artists performing. This event is chill and therapeutic for the soul. I totally lucked out on my first visit to Lafayette. It was raining and somewhat miserable weather most of the first week. That’s not the lucky part. The good news is that I found a house concert in nearby Ossun, featuring Creole musician Goldman Thibodeaux (he’s playing at NOLA Jazz Fest 2019 btw) and former poet laureate Darrell Bourque. I got the last ticket to the event at the home of Barry and Caroline Ancelet. I had no idea who any of these people were before I attended the event. And they sure didn’t know me. But Barry and Caroline welcomed me into their home for the event, which also included awesome homemade gumbo and bread pudding. Although my point is that people in South Louisiana are welcoming, don’t go knocking on doors and asking people for gumbo and stuff, okay?! Besides all the music festivals in Lafayette you have several other options for enjoying live music, dancing, karaoke, and some stand-up comedy. There’s lots of things to do at night in Lafayette! Artmosphere – Bistro and bar with live entertainment almost every night. Breakfast, lunch, dinner, and late night eats. Great place to catch some local music and do some dancing, or hang out in the outdoor seating area. First show I saw at Artmosphere was Lost Bayou Ramblers in 2016, lucky me! Blue Moon Saloon – Popular back porch outdoor venue for live music (mostly Wed through Sun) featuring a mix of local talent and touring musicians. You’ll have a good time! Wurst Biergarten – Outdoor beer garden with comedy nights and boiled crawfish from Hawk’s when in season – like NOW! They used to do a lot of music events as well, but I don’t see any on the calendar as of this writing. They have a Farmers Market event on Sundays so you can have a brew and do some shopping – starts at noon. 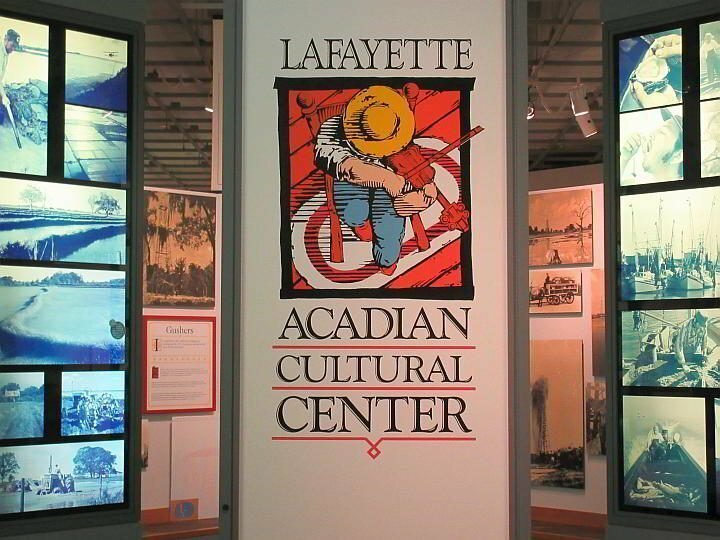 Located at one of the six sites in South Louisiana that comprise the Jean Lafitte National Historical Park and Preserve, the Lafayette Acadian Cultural Center is an excellent starting point for learning about Cajun culture and history. Watch the film The Cajun Way: Echoes of Acadia – a 35-minute film about the Acadians journey from Nova Scotia to Louisiana. Check their calendar of events page for Ranger talks, boat tours, walking tours and more. This outdoor museum recreates Acadian life from the early 1800’s – visit Acadian Village website for tickets and hours. If you are in Lafayette in December be sure to go and visit for the Noel Acadien Au Village winter wonderland. Closed during the month of November except for the General Store which is open Tues/Thurs 10 am to 2 pm for holiday shopping. Vermilionville Village is a living history museum, it’s a real gem of Lafayette and one of my favorite tourist spots to visit. Their goal is to preserve Acadian, Creole, and Native American culture in the Attakapas region from 1765 to 1890. When you go to Vermilionville you’ll see seven restored original homes from South Louisiana. 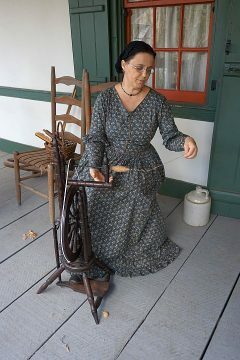 What I love most about Vermilionville are the costumed artisans that provide demos by working on crafts in the houses. 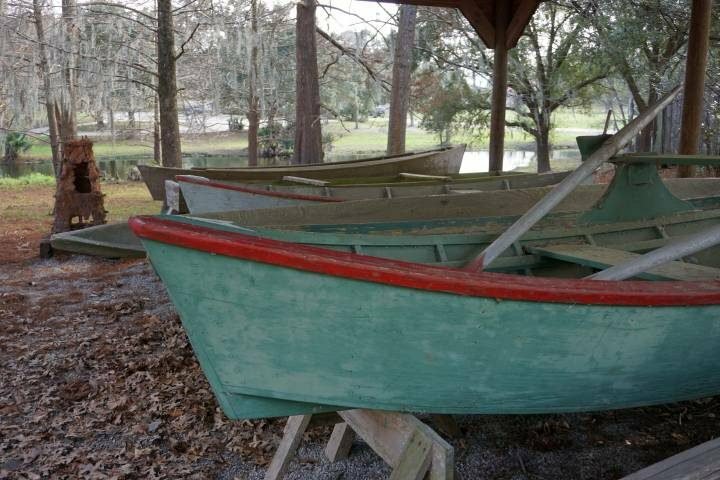 Okay maybe the Petit Bayou Ferry is is my favorite thing at Vermilionville. 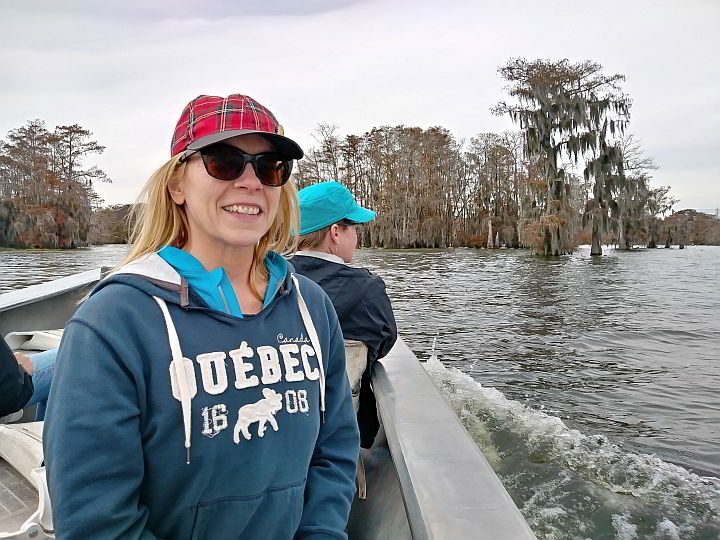 The video below is me when I ferried myself across le petit bayou! Are you into learning about geology, paleontology, marine biology, and exploring outer space? Maybe a visit to Lafayette Science Museum is in your future. Featuring interactive exhibits you get to explore science in a hands-on kind of way, perfect for curious kids of all ages. Red’s Lerille’s Health and Racquet Club…really! Just call it Red’s, everybody will know what you mean. And I know it is bizarre to list a gym on the things to do list, but Red’s is no ordinary gym. The place is HUGE! 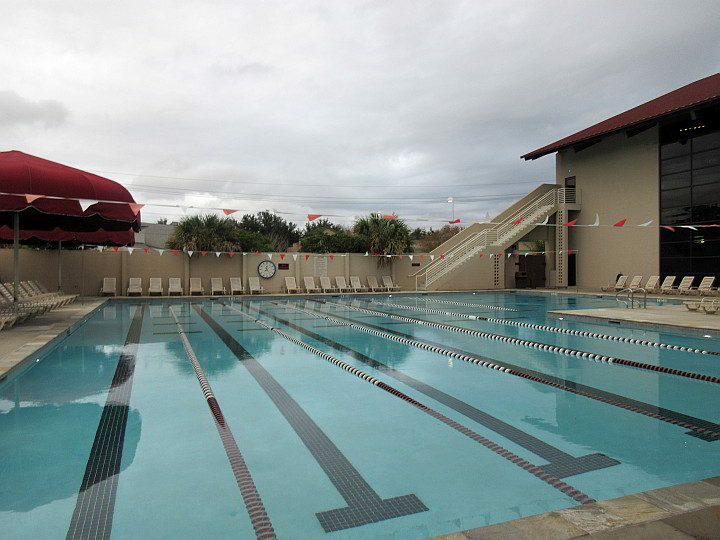 Red’s features a women’s only gym plus two co-ed gyms, tons of equipment, indoor track, outdoor track, tennis and racquetball courts, and several swimming pools. First, if you love swimming or just love working out then Red’s is a great choice. While staying in Lafayette I purchased the 10-day pass so I could go swimming. I think the website lists a one week pass but it was $40 for 10 days when I last visited in November 2018. There’s an outdoor heated lap pool, indoor lap pool, and a second indoor swimming pool. Plus, a hot tub and the cold plunge pool for after your workout. And finally, there’s Mr Red who owns the gym and is still manager – he’s in his eighties but he hasn’t quit working. Red Lerille was Mr America and Mr Universe in 1960 and opened a small gym in 1963 with homemade equipment. Over the years he kept improving and expanding it to become the Red’s Gym we know and love today. Check out this video on youtube. The Cathedral of Saint John the Evangelist is the official name and it’s an attractive piece of architecture. And you don’t need to attend mass to go visit the church, they offer tours at St John’s. Whether you do want to go to mass or take a tour click here for more info. The other reason to visit the Cathedral is the giant old oak tree. St John’s Cathedral Oak is estimated to be nearly 500 years old. 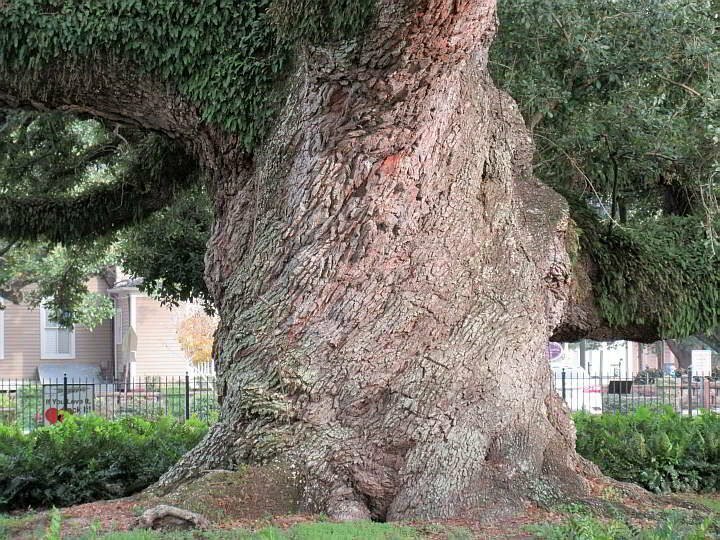 This tree is Second Vice-President and a founding member of the Live Oak Society. You read that right, the tree is the VP and founding member. Are you curious to find out how that could be? Check out this excellent website called the 100 Oaks Project for more info. Cathedral Oak is a beautiful old oak tree, probably one of the most beautiful live oak tress I’ve ever seen. I do love the Big Tree down in Rockport Texas too but I have to say Cathedral Oak is more handsome, and should be considering he’s 500 years younger. 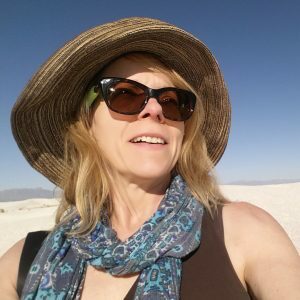 Here are some of my favorite shops in Lafayette and places to buy local stuff. There’s probably someone waiting on a souvenir from you, so why not surprise them with something unique and hand crafted. Just remember that Monday is not the best day to go souvenir shopping as many places are closed. If you miss out, then check out the websites and order online! Remember when you’re listening and dancing to all that great music in Lafayette to buy merch from the artists at the gigs. It’s great karma and you’ll have an original souvenir from Louisiana. Lafayette Farmers and Artisans Market – Saturdays at Moncus Park, a 100-acre green space, formerly a horse farm. Currently Moncus Park is going through a transformation to bring walking and biking trails, an amphitheater, arboretum, and off-leash dog park, sculpture garden, and more. Making Lafayette even more awesome! Lagniappe Records – New and used vinyl records with a specialty in rare Louisiana 45’s and 78’s, world music. Check the website for in store events. Go feed your vinyl habit! From their “I wanna be loved bayou” onesies to big people t-shirts they’ve got you covered. They also have stickers, art cards, flags, and other souvenir items. San Souci Fine Crafts Gallery – Featuring artwork from some of the finest artisans in South Louisiana, this downtown shop right next to Parc San Souci should be on your shopping list. I hope you’re hungry because there’s a ton of great food in Lafayette. Southern and Cajun plus Creole cuisine makes for a beautiful relationship. You’re gonna gain weight and you’re gonna drink too much. It’s Louisiana, just get used to it! You can walk it off later. And if you’re too lazy, too tired, or too hungover to leave home there’s always WAITR app to save you from starving to death. All three of my fave breakfast restaurants are in the downtown area. Black Cafe – Coffee shop serving breakfast, lunch, and early dinner. Some of the menu items include: Sweet Potato Biscuits, Scotch Eggs, Beignets. But my fave is the Sausage in a Biscuit…and the coffee. Service is always with a smile – they’ll make you feel at home at Black Cafe. There’s also drive-thru for those days when you just don’t want to move too much or you’re roadtrippin’. French Press – Gets my vote for brunch in Lafayette. Try the Sweet Baby Breesus – Boudin Buttermilk Biscuit Sliders made with Bacon, Boudin Balls, and Steen’s cane syrup. My other favorite menu item is the Chicken and Waffles…and the Praline Bacon is divine. James Beard nominated, Chef Justin Girouard puts on a great menu. Did I mention they have a full bar? Evidently French Press is also open in the evening for dinner, but I never managed to get there for dinner time eats….good excuse to get back to Lafayette. Rusted Rooster – Another of my favorite breakfast joints with great coffee and an awesome Fried Chicken Biscuit. Want something lighter, the salads are really good at Rusted Rooster. Try the Green Granny: organic mixed greens, Granny Smith apples, dried cranberries, homemade candied pecans, and crumble bleu cheese. Add on some grilled or fried chicken morsels and you’re good to go. They also serve burgers and sandwiches for lunch. Laura’s Two – Madonna Broussard is continuing the tradition set by her grandmother, who opened the original Laura’s in 1968. Laura’s Two serves up delicious Soul Food, Cajun and Creole style lunches. Baked Stuffed Turkey Wings are one of the most popular menu items. If you want the turkey wings you better get there early! But don’t worry, the other menu items will make your belly happy too, like Smothered Pork Chops, BBQ Ribs, and Fried Catfish. All served up with rice and gravy and two side dishes. Laura’s Two gravy is a rich brown heavenly wonder. Johnson’s Boucaniere – One place I still have not tried but I’ve been meaning to is Johnson’s. It’s one of the most highly rated spots for Smoked Meats, BBQ, and Boudin. If you’re a meat lover, then Johnson’s is your place. Olde Tyme Grocery – My go to for Classic style Po’boys. Indoor and outdoor seating at this small grocer and po’boy shop. Great service and yummy eats. Glen Murphree, from New Orleans, purchased Old Tyme Grocery in 1982 and started out on his own, making 10 – 15 po’boys each day. Don’t worry, they make a bunch more nowadays. Pop’s Po-Boys – Classic po’boys along with creative stylings like the Boudreaux which features Buttermilk Fried Catfish, Pickled Okra Tartar Sauce, and Blue Cheese Coleslaw. Every time I go to Pop’s I look at all the menu offerings for a few minutes….and then I order a classic shrimp po’boy….I never stray. Poupart’s – This is my fave place for a soup and sandwich lunch – try the corn and crab bisque. They have wonderful pastries too – Mr Francois Poupart moved to Lafayette from Paris. He and his son Patrick Poupart run the two bakery cafes. Craving beignets and French roast coffee? This is your place. There are a bunch of great restaurants in Lafayette, here are a few of my favorites. Pamplona Tapas Bar – Tapas (small plates) and wine bar. Good eats! Saint Street Inn – Farm to table restaurant and bar – a cozy neighborhood joint. They often have live music events. Spoonbill Watering Hole and Restaurant – New addition to Lafayette in 2018, I only got to eat here once so far – superb seafood! Where to stay in Lafayette Louisiana is a bit of a conundrum. There aren’t many hotels in the downtown core but there are some other options with shared accommodation. Click to view and book your hotel room in Lafayette. You can sort by budget, star rating, type of accommodation you’re looking for and see photos, plus read the reviews and get all the details about each place. Also check out my list of downtown accommodation options below. Blue Moon Saloon and Guest House – Private rooms, dorm rooms, or rent the whole place. Free drink ticket for you when there are events at Blue Moon. LUS Fiber high-speed internet. Use of the piano, kitchen, book library, and free admission to all shows during your stay. Check out the rooms and prices here. Cajun Hostel Studio – This is the apartment that I stayed during my first visit to Lafayette. It’s a great location downtown, free parking, excellent internet. And you can walk to anywhere downtown. Check and see if it’s available. Cajun Hostel Downtown – Several private rooms to choose from. Features free parking and Wi-Fi, Air-conditioning. Other amenities vary by room so check here for details and pricing. Hilton Garden Inn Cajundome – As the name suggests this hotel is located by the Cajundome and Convention Center. Featuring an indoor pool, gym, and onsite restaurant. Book your room now! The Juliet Hotel – Newly opened in 2018, I stopped by to take a look and it’s definitely a great location. There’s free breakfast, parking, and Wi-Fi included plus they have an outdoor swimming pool. Find the latest deals and availability here. Mouton Plantation – This 7-room Bed & Breakfast is conveniently located on a quiet street close to downtown. Read what guests love about staying here and book your room now! 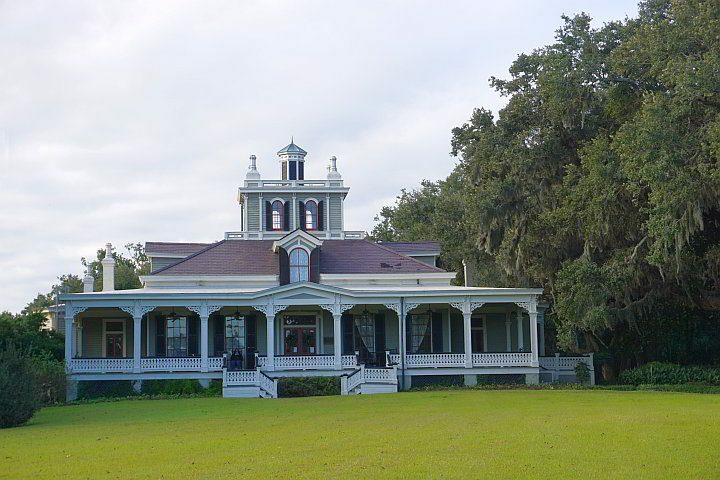 Staying in Lafayette Louisiana is the perfect base for exploring Cajun Country. There are a ton of smaller towns near Lafayette that are worth a day trip, or in some cases an evening out for dancing. Arnaudville LA is one of my favorite day trips from Lafayette. It’s a pleasant 30-minute drive northeast of Lafayette. With a population of about 1,000 the town sits at the junction of the Bayou Teche and Bayou Fuselier, hence La Jonction was the nickname given by the French population. 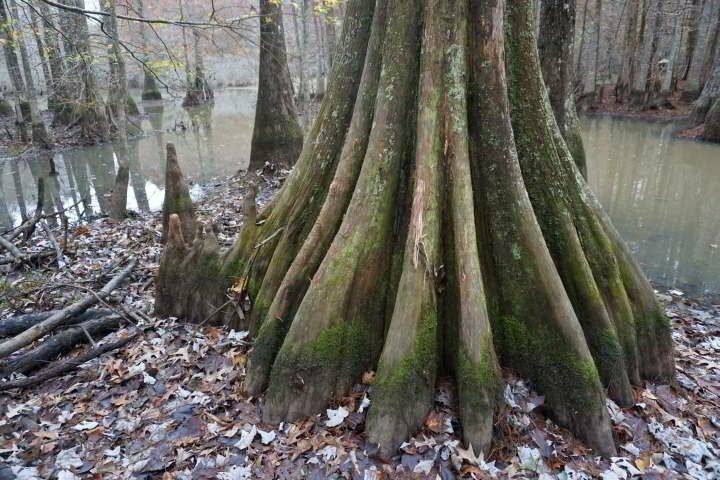 Arnaudville Tree is a great big live oak tree with exposed roots that you can actually stand underneath. Little Big Cup is the place to go for brunch in Arnaudville, trust me – you will have a feast! You can dine indoors or out on the patio overlooking the Bayou. Afterwards visit NUNU Collective art gallery down the road. And then head to the beer garden. Bayou Teche Brewing – Local brews! Three brothers opened a brewery to create beers that compliment the Cajun and Creole food of South Louisiana. Live music Friday 7 – 9 pm and Sundays 2 – 5 pm. Free public brewery tours and paid private tours available. If you visit Arnaudville at the end of April be sure to attend the Etouffee Festival – Friday April 26 to Sunday April 28, 2019. 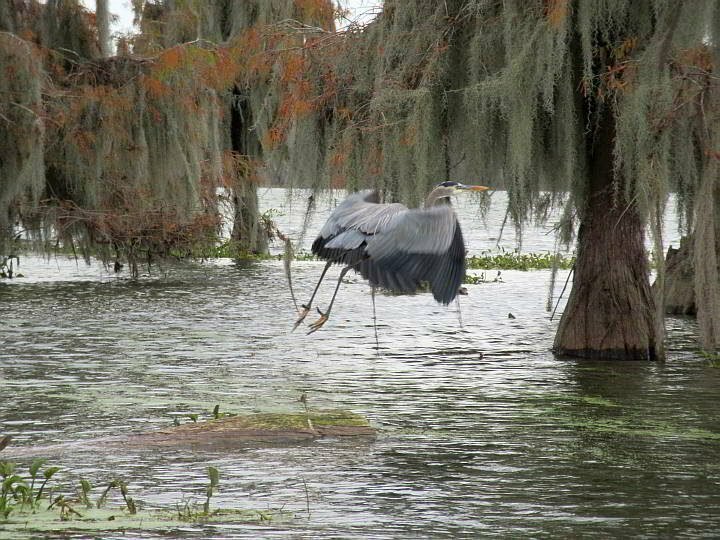 Located 35 miles (55 km) northeast of Lafayette the Atchafalaya Refuge is a wonderful place to go fishing, paddling, or birding. Check their website for more info. Visit the Tabasco factory for a tour. Also visit Bird City, Jungle Gardens, and Rip Van Winkle Gardens. 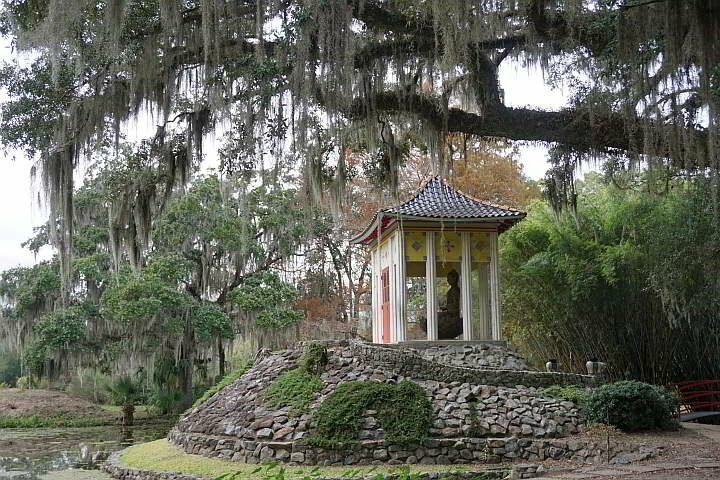 Avery Island is about a 30 minute drive from Lafayette. As mentioned in the Music and Dance section earlier, Buck & Johnny’s Zydeco Breakfast is the place to be in Breaux Bridge on a Saturday morning from 8 to 11:30 am. You can also get your Crawfish fix in Breaux Bridge and then walk it off with this walking tour. Enjoy fishing, boating, hiking, and camping. There’s also an arboretum with a nice walk and some information about the area. Chicot State Park is 55 miles north of Lafayette, about 1 hour drive. 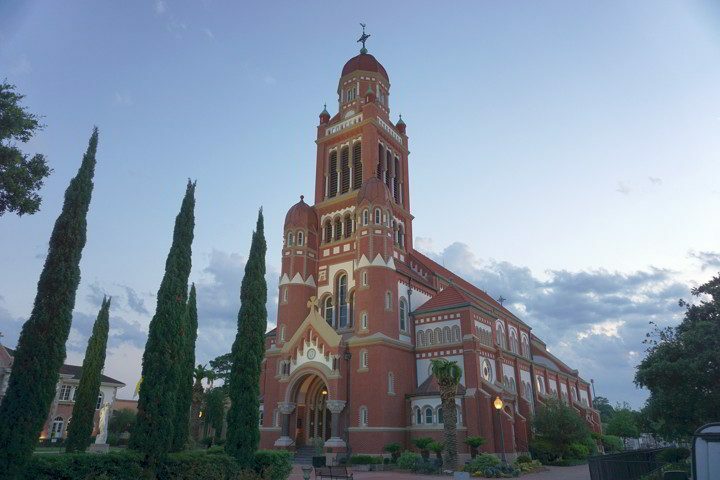 Eunice is an excellent day trip from Lafayette if you want to get to know more about Cajun culture and history. Mr CC Duson named the town Eunice, in honor of his wife. Go to Savoy Music Center for a Cajun jam session from 9 til noon on Saturdays. 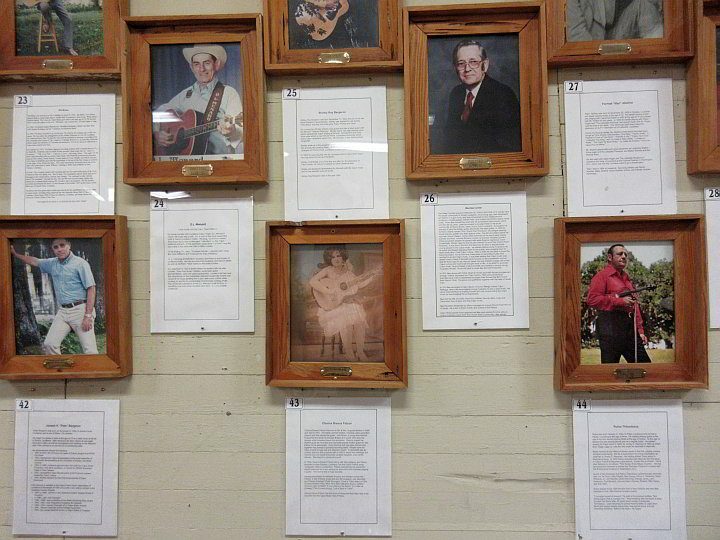 Visit the Cajun Music Hall of Fame and Museum. Be sure to visit Prairie Cajun Cultural Center on Saturday afternoons for Cajun music and dancing, then enjoy a cooking demo – all FREE. Eunice is 40 miles northwest of Lafayette and it’s about a 45 minute drive. 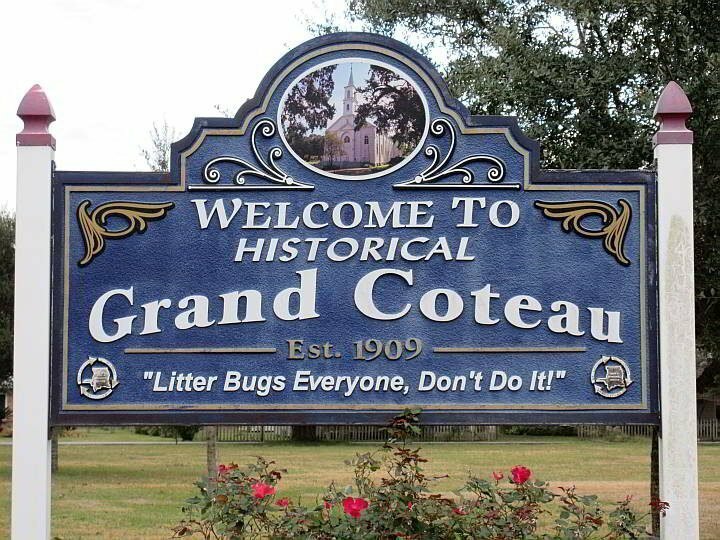 Grand Coteau is about a 20 minute drive north of Lafayette. There’s a beautiful church in Grand Coteau, St Charles Borromeo. Be sure to visit Chicory’s Coffee and Cafe for breakfast or lunch. 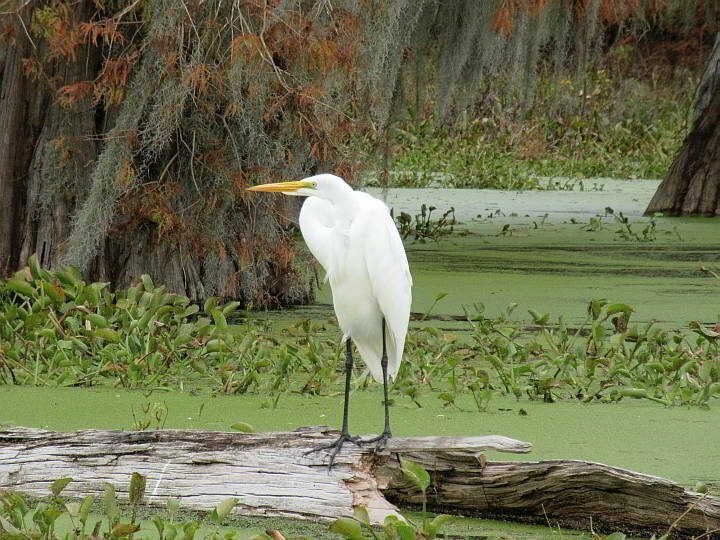 Lacassine wildlife refuge is a great place for birding and wildlife spotting. I saw Roseate spoonbills, alligators, and nutria when I visited. Fishing season at Lacassine is from March 15 to October 15. The drive from Lafayette to Lacassine is about 90 minutes. Do you want to go kayaking with alligators?! I did the sunset kayaking trip on Lake Martin with Pack and Paddle, but I didn’t see any alligators, although I’m sure they saw me. Where I did see alligators is during my walks alongside the water and when I took a Swamp Tour at Lake Martin. I paid $20 for the tour, it was educational and enjoyable and it’s around 2 hours long. Lake Martin is about a 20 minute drive east of Lafayette. Opelousas is 24 miles north of Lafayette so it takes about a half hour to drive there. Enjoy walking around this small town looking for all the fiddles on display. Fiddle Mania features a bunch of oversize fiddles created by local artists. 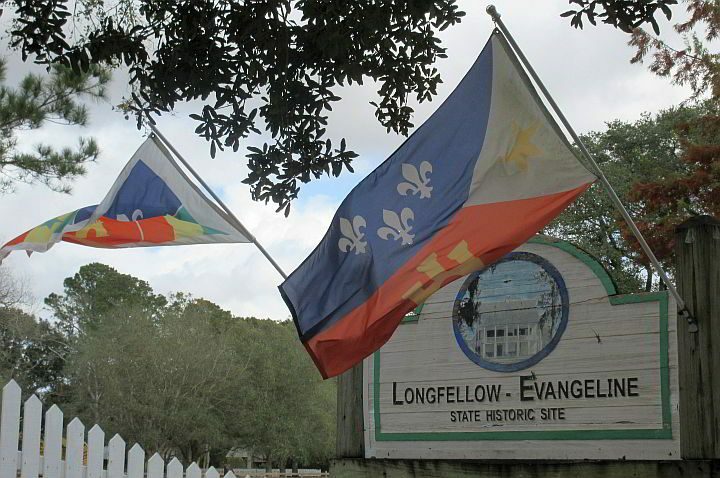 Visit the Evangeline Oak, Acadian Memorial, African American Museum, and Longfellow-Evangeline State Historic Site. St Martinville is about a 30 minute drive from Lafayette. South Louisiana likes to party! There are dozens of events going on in and around Lafayette every year. 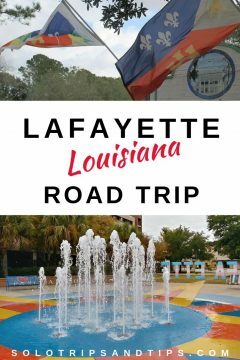 You can check the Lafayette Travel events page and have a look at their calendar listing for all the annual events in Lafayette. 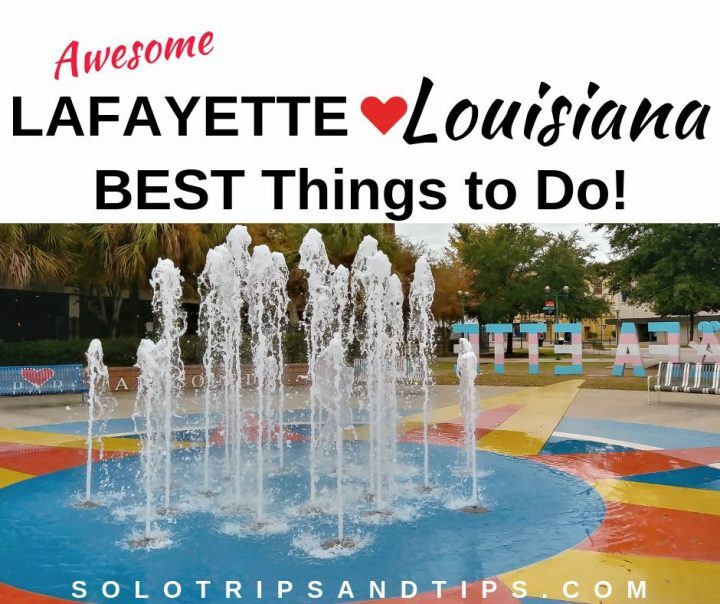 For even more fun things to do in Lafayette Louisiana visit their tourism website here. Not only do I have to visit here, I probably have to move here. I love that it’s one of the happiest places in the US! I have a strange affinity for Cajun culture, and while I love New Orleans, it’s so heavily touristed. I need to get to Lafayette where there seems to be more of an ability to really experience the history that interests me. I’m not sure if it’s just the photo, but those crawfish (YUM) look like the size of newborn babies! Would like to get there for Mardi Gras someday! Lafayette really is a gem, that’s why I keep going back. Just go, you will be happy! LOL, your comment about the crawfish! YES they were that big hahaha, okay maybe partly due to the camera angle. 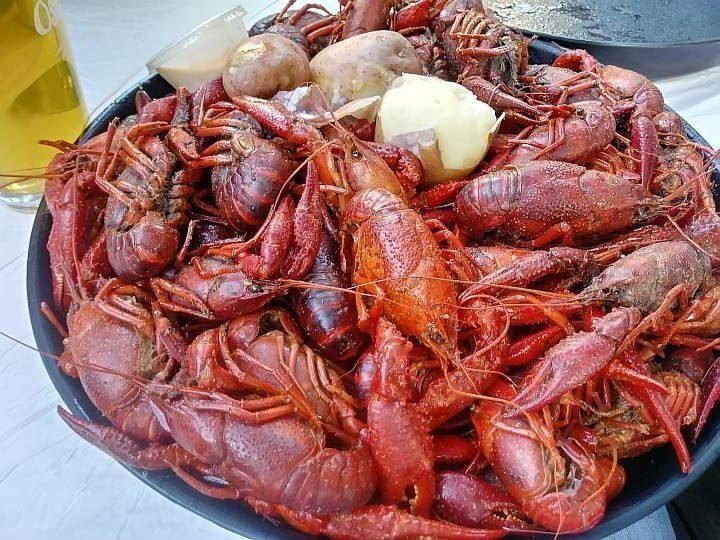 I used to eat 10 lbs of crawfish in one sitting, and every one of them dipped in melted butter! If you go to Lafayette during Mardi Gras be sure to go to some of the smaller towns for their Mardi Gras events, like Eunice, totally different experience. Any of the music festivals are super fun to attend as well. Happy travels! Wow what a cool place Susan. 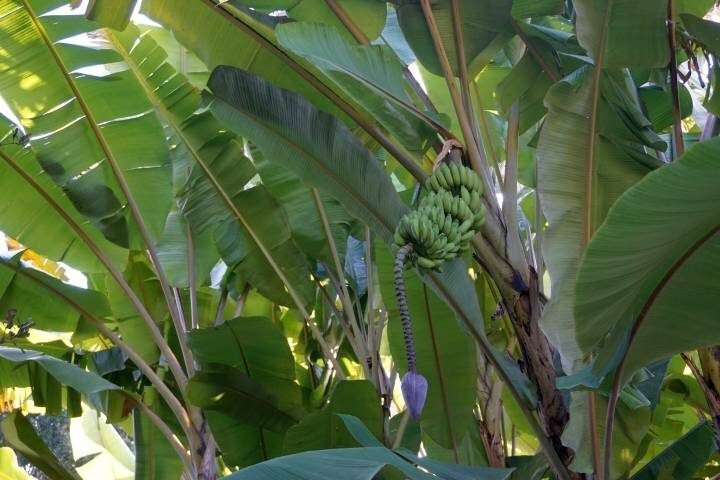 So weird to see bananas growing in the USA. We have a couple trees here in Thailand, in the backyard. Waiting for rain so they can really blossom. Excellent post. I live in Lafayette and would like to commend you on a very well-written review of my home-town. I was born in Abbeville (about 30mins south of Lafayette) and have lived in other more populated cities. This place really is full of fun and wonderful people. Maybe visit Abbeville next time you are here and eat at Dupuy’s. Festival International is in a few weeks! Chris, Your comment made my day, thank you! It was tough to write about a place that I care so much about, not wanting to fall short. I will put Abbeville on my list of places to see next visit to Lafayette, and Dupuy’s for sure! I just took a look at their website, read their background story, and looked at the menu, I’m going to enjoy that visit! Thanks for the info! And festival, so much FUN! Have a good one! You’re welcome Susan! And thanks for the reply.